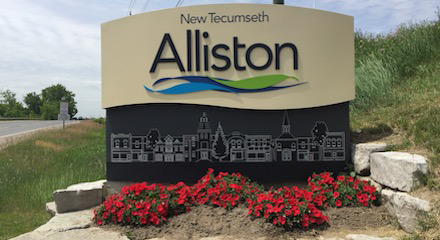 Located in the midst of a well-known potato-producing region, the town of Alliston draws commerce from the surrounding farming communities. 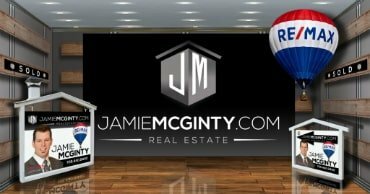 Businesses and enterprises flourish in the area which provides residents and tourists with many dining and entertainment options. The Canadian Pacific Railroad’s Toronto – Parry Sound – Sudbury line also runs through the middle of the town, providing additional transport mobility and employment prospects for the town’s residents. In Alliston you will find many places of worship including St Andrews Anglican Church, St. John’s United Church, Grace Baptist Church, Alliston Alliance Church, St. Pauls Catholic Church, Alliston Christian Reformed Church, New Beginnings Christian Church, Faith Community Church, Alliston Christian Fellowship, Christian Reformed Church of Alliston, Kingdom Hall of Jehovah’s Witnesses and Knox Presbyterian Church. Fletcher House- Not open to the public, but still standing Fletcher House, located at 18 Fletcher Crescent was built in 1849, by the founders of Alliston the Fletcher family. The Fletchers journeyed to Toronto from England in search of better prospects and working conditions. Old time photographs and etchings of the village then, depicts many views of the Fletcher grist mill which was eventually refurbished to a hydro electric generating facility, later to fall into decay, and the Mill Pond and sluice which was destroyed by Hurricane Hazel. Museum on the Boyne- (formerly South Simcoe Pioneer Museum) The Museum on the Boyne, consists of 3 heritage buildings. Sir Frederick Banting Homestead- Sir Fredrick Banting was born November 14, 1891. He was a Nobel Laureate, known for his co-discovery of Insulin with Charles Best. Serving in both World Wars, Major Banting died February 21, 1941 at Musgrove Harbour Nfld. when his Hudson airplane crashed shortly after takeoff. He is also noted for his many military efforts including his work with Wilber Franks in the development of the Franks G-Suit at the Banting & Best Laboratory University of Toronto. T.P Loblaw – Stevenson Farm- Well known for his chain of Grocery Stores, TP maintained a summer home (Stevenson Farm) just north of Alliston. Concerned there was no local hospital should his guests suffer a hunting or riding accident, he founded Stevenson Memorial Hospital named so after his Grandparents. This is now the “Stevenson Bed & Breakfast” a delightful country retreat. Emily Ferguson Murphy- Born March 14, 1868 in Cookstown, now Innisfil Twp. Woman’s activist, author and jurist Emily Ferguson Murphy grew up in Thompsonville, a small hamlet just south of Alliston. In 1916 she became the first woman Magistrate in Canada and the British Empire. Most noted was her work in 1927 with four other women: Henrietta Edwards, Nellie McClung, Louise McKinney and Irene Parlby, ( who together became known as The Famous Five), launching the “Persons Case,” contending that women could be “qualified persons” eligible to sit in the Senate. Although, the Supreme Court of Canada ruled that they were not, on a later appeal the women won their case. The Nicolston Mill- Located just east of Alliston on Highway 89 the Nicolston Millis the last of the remaining mills left standing in this tiny hamlet. Once hosting woolen, saw, knitting and grist mills, this lovely spot along the Nottawasaga River plays host to a camping facility favourite to sport fishermen and out door enthusiasts. Visitors from all over are drawn to watch the rainbow trout make circus like acrobatics on the MNR installed fish ladder, as well as view the giant white sturgeon at the remains of the old mill dam site, coming to spawn in early spring. Since the introduction of Chinook Salmon to the Georgian Bay watershed system, fall fish watching has become it’s own spectator sport in this area of protected waters. The Gibson Centre for Arts and Culture- This beautiful 1890’s heritage building transformed from ‘factory to fabulous’ and now offers a centre for the arts and culture in Tecumseth Township and surrounding areas. It features a main floor gallery, performance stage, banquet and wedding facilities, as well as workshopping and community programming space. The Mill Pond Centre for the Arts- Nestled in the historical area of main street Alliston, the modern Mill Pond Centre for The Arts, consists of a small eatery and coffee shop offering wholesome homemade food, plays host to the local book selling enterprise of “A Loft of Books”, and offers a professional gallery area and peforming arts centre all overlooking the beautiful and rustic Boyne River valley.